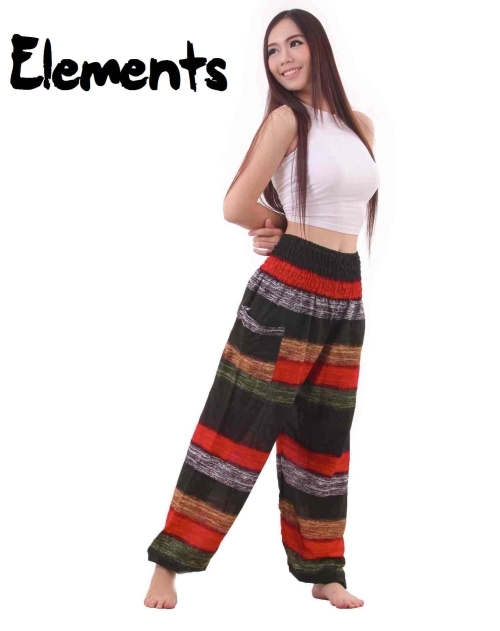 The Elements Thai pants have been worn by the Thai people through many generations and they over the recent years become very popular among travelers. 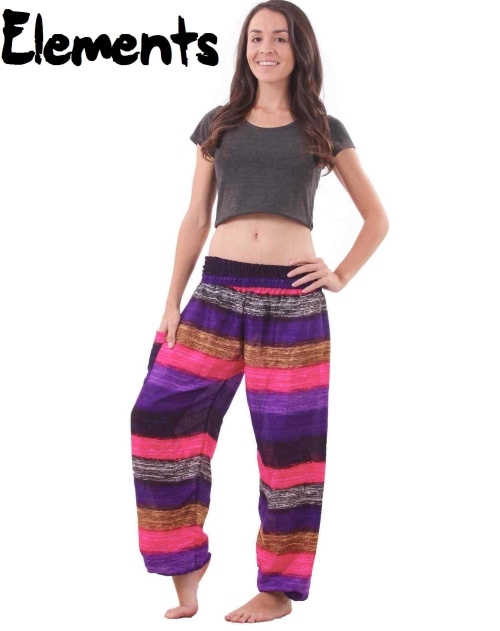 The striped pattern with beautiful vivid colors and comfort-ability have attracted many fans among backpackers worldwide. 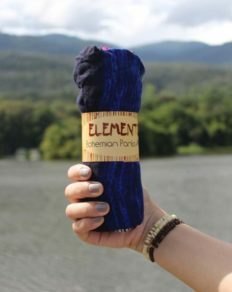 The practical side-pocket coupled with easy of movement thanks to the very light fabric make them ideal to wear for hiking and exploring in warmer climates. Of course they’re also great to jump in when you’re roaming around your house or hanging out in the yard. 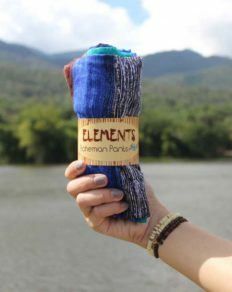 Of course like all of our pants, the elements Thai pants are not made in a factory but handmade by a group of highly skilled people in the beautiful mountains of Chiang Mai, Thailand. 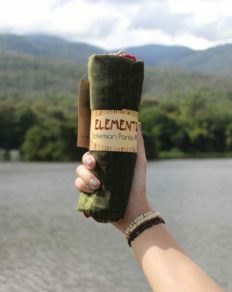 We give back to the world by donating a part of each sale to charity. 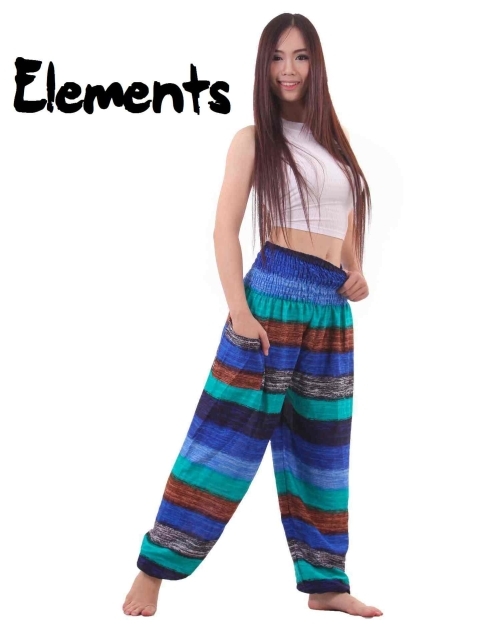 In short these elements Thai Pants will definitely be the most comfortable pair of pants you have ever worn!